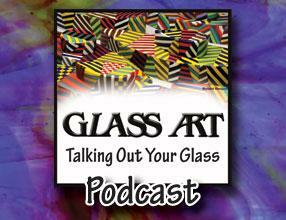 Glass Art editor Shawn Waggoner introduces readers to a new podcast, Talking Out Your Glass, a biweekly show that features interviews and discussions with world-renowned glass artists and respected experts. During the first two sessions, Narcissus Quagliata discusses his book, Archetypes and Visions in Light and Glass, and his 40 years of groundbreaking glass projects. As a glassblower, Richard Marquis has influenced an entire generation of artists working in glass who aspire to both his technical mastery and originality of voice. A Fulbright-Hays Fellowship allowed him to travel to Murano, where Italian artists introduced him to the art of creating glass art featuring murrine. Five years after Helen Millard and Allister Malcolm taught at The Studio at The Corning Museum of Glass, they became part of the Instructor Collaborative Residency. The artists fabricated three test pieces using broken bits of cameo from Millard’s studio to determine how they would affect the shape of larger blown objects. The Contemporary Glass Society (CGS) will replace the New Designers Glass Award in 2016 with a more inclusive publication, New Graduate Review. This 16-page publication will be circulated to all CGS members and associates to give CGS the ability to showcase work from the talented prize winners from several more emerging British graduates. Moving from a studio after more than 19 years of blowing glass provided Ed Schmid with the catalyst for reducing his carbon footprint and establishing a more eco-efficient hot shop. His new studio is now located on Dave Mireault’s homestead, where Schmid’s recuperator helps to heat the water for Mireault’s mushroom farm. Photo of Dr. Laura Schlessinger by Mishan W.
For the past decade, Dr. Laura Schlessinger, America’s number one relationship talk show host, has created glass art to sell in support of Operation Family Fund (OFF). Many glass artists and businesses have joined to help her provide much needed aid for veterans and their families to overcome financial and physical difficulties. Cast glass artist Walter Gordinier works in a recognizable modern abstract style, casting brightly colored, painterly slabs from his Portland, Oregon, studio. He marries the glass with other local materials to produce work that fits authentically into its environment as functional architectural and sculptural glass art. Glass artist, Henry Halem, shares memories of how Marvin Lipofsky helped establish the American Studio Glass movement and how he selflessly shared his techniques with many students and fellow glass artists. The Rakow Library at The Corning Museum of Glass is committed to preserving and sharing the photographic archive of the work of American Studio Glass artist Marvin Lipofsky. The collection contains more than 40,000 images taken by Lipofsky that will continue to provide inspiration to future glass artists. Building a business alone can be very overwhelming, but it’s not impossible. Artists are each in a unique situation and will need to evaluate where they want to go, how quickly they want to get there, and what steps they need to take to make it all come to fruition. The Corning Museum of Glass selected Toots Zynsky as the first of two Specialty Glass Artists in Residence for 2016. Zynsky has gained widespread acclaim for her intricate filet de verre vessels, creating vessels with unique explorations of color that defy categorization and weave together traditions of painting, sculpture, and decorative arts. Lucia Santini grew up in an atmosphere where everyone is expected to enter into the making of art and the business of art on some level. Santini continues to explore her glass art techniques and often collaborates with other Muranese and Venetian masters including her childhood friend, Lucio Bubacco. Nick Parrendo, whose motto was “keep the pencil moving,” was always designing, whether it was for a large stained glass installation or an Easter card. His work was rich in design, color, and symbolism, and the encouragement he gave to many in the glass industry will be greatly missed after his passing. Joseph Cavalieri, artist and teacher, leads a busy artistic life preparing for the many one-man shows he will be presenting in New York in 2016. He will also continue to offer his creative expertise in creating and promoting artwork to many seminar students throughout the United States, Canada, and Europe. The Stained Glass Association of America (SGAA) will be presenting an incredible lineup of expert speakers, from studio owners and architects to manufacturers. This solid educational conference includes technical, business, historical, and artistic wonders from the historic to the contemporary. What’s New offers information on the latest in books and patterns plus new glass and tools for hot, warm, and cold glass artists and hobbyists. 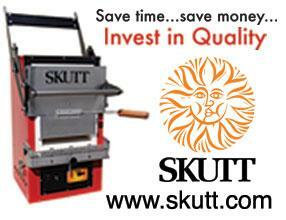 This is the perfect place to keep up with the innovations that will make working in glass easier and more enjoyable. 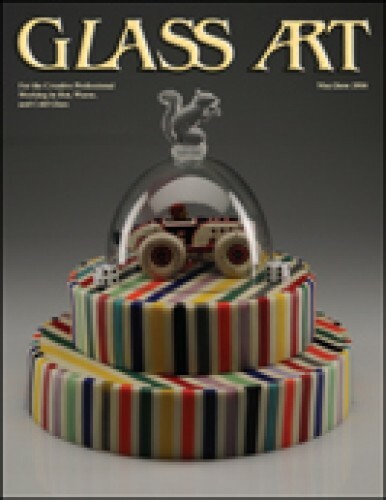 Readers share their thoughts on profiles and articles featured in recent issues of Glass Art.